Today is a great day to be creative. I'm still on a high from last week's Find Your Light Workshop. In fact, you can read the recap here: bit.ly/FYLNYC2016. 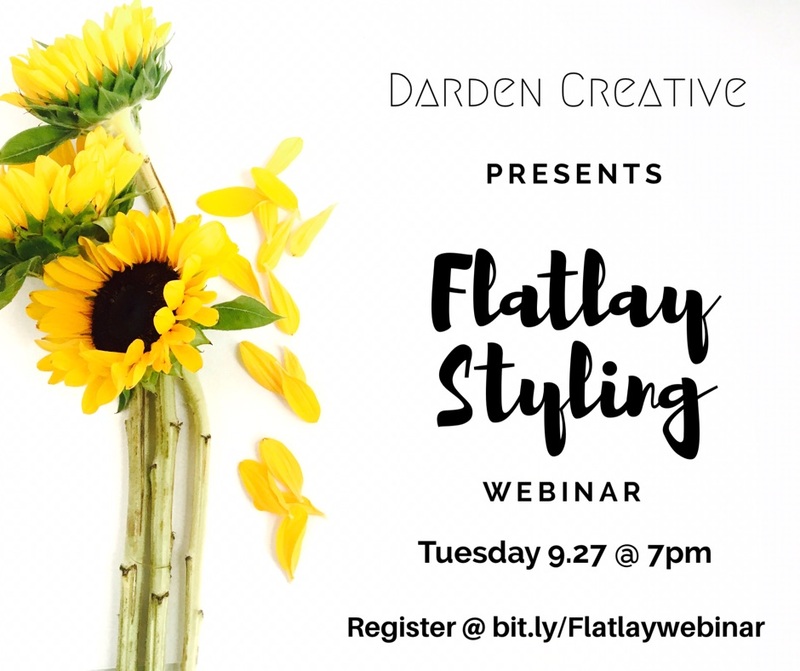 So with that being said I'll be hosting a Flat Lay Styling Webinar next Tuesday at 7pm! Even better? It's Free .99. Yup you get all the knowledge in my Afro covered head for the free. How to register? You're going to sign up at bit.ly/Flatlaywebinar. Once you sign up, you'll receive all the deets on how to join us next Tuesday the 27th at 7pm. So go register to reserve your spot! I'll also be sharing what's next for Darden Creative, so you don't want to miss it!! !